Several important astrological events are coinciding this week: A Full MOON in GEMINI a Lunar Eclipse, and a VENUS Transit across the face of the SUN. These events are part of a larger cycle involving the May 5 (Supermoon) Full MOON initiation, and the Solar Eclipse on May 20. This article integrates the Esoteric meaning of this week's three events and shows you a unique opportunity. Three important cosmic events are taking place this week, providing a new awareness of who we are as energetic beings of light. The GEMINI Full MOON brings a new level of awareness, emphasizing the discovery of new mental realms. The Lunar Eclipse provides the cosmic gift of a new sensitivity. 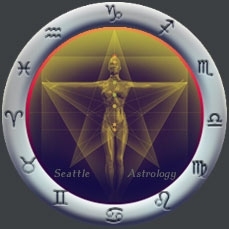 The rare VENUS Transit provides a new ability to connect through feelings and the heart, and a new level of emotional intelligence. Each of these events is significant, however the real power comes from understanding the integrated meaning of the three events combined. With each Lunar Eclipse, a cosmic portal or doorway opens up, allowing for special gifts to reach the Earth. This Lunar Eclipse portal brings a gift of sensitivity. This gift provides us with an increased sensitivity to our own life-force, in relationship to the larger patterns of change and rhythms around us. When referring to life-force, I am speaking of the energy of the body. The body's life-force is composed of a form of light also known as chi or prana, and expressed through energetic forms such as chakras and meridians. The cycle of the last few weeks has prepared us for this opening. Perhaps you have been feeling an increased level of sensitivity in your own life-force since the last Full MOON in early May? At the most extreme level, some are even experiencing stress and chaos. Our mental processes are shifting, linked to new perceptions of new realities or realms of being. Our perception of who we are is shifting away from identifying with who others say we are, to the discovery of ourselves at the core level of our being. We are discovering a new reality based on our direct experience of our life-force, rather than a self concept based on what we "do." This new level of awareness is connected to the eclipse's gift of sensitivity. The eclipse allows a new access to the planetary rhythms in which our life-force is also intimately connected. In other words, this represents a new ability to connect to other people and the Earth as a conscious being. During the two weeks following the Eclipse, the VENUS Transit offers a window of opportunity to rapidly anchor your developing sensitivity to your own life-force, and to begin experiencing a new type of consciousness. This new type of consciousness provides the guidance we need for moving forward in life. VENUS brings emotional intelligence to our heart, our reactions to life and our ability to listen. VENUS is also symbolic of our own filters and what we choose to hear. From an Esoteric perspective, it represents how we listen to ourselves and how we listen to our inner guidance. This new type of consciousness is more a "mental metamorphosis" than merely a new ability. Our mental capabilities are expanding, thereby allowing us to transform our emotions into the Higher Mind. This shift helps hidden instincts become accessible and available as rational decisions and trusted guidance whenever we need them. In the past we could feel deeply, but now we can take those feelings from the instinctual realm into the Higher Mind. This transforms those same feelings into guidance supported by intelligent decision. This support from the VENUS Transit strengthens our intuition because now we can actually hear our inner guidance, rather than just feeling it. What is becoming clear with this VENUS Transit is that our experience of our own Light-body is changing. With this, our primary sense of responsibility is shifting from what others expect from us, to a new sense of responsibility to our own life-force and to the connections we have through our Light-body to others and the planet. Your life-force (chi, prana) is a form of divine Light flowing and operating through your body. It holds all frequencies, from the physical to the most refined. The most refined portion of your life-force, the highest frequencies, is what we call your "Light-body." This new form of mental metamorphosis is creating the opportunity to leave behind the old concept that our life-force is contained within our individual, physical body. With this new awareness, our Light-bodies have the ability to consciously connect with others and to the grid of Light surrounding the Earth. This grid of Light, or Lunar Matrix, can now be consciously accessed as a form of guidance and support. To anchor this increased sensitivity to your life-force it is important to talk to other people with whom you can identify. By communicating your experiences and feelings of what is most important you will anchor this sensitivity at the deepest levels of your being. Sharing, exploring, and discussing what inspires you will help you fully formulate a new picture of what you're feeling. In this way, you can anchor this sensitivity at both a mental and emotional level. A higher level of integration is possible through this process of sharing your experiences. As a result, a new knowledge concerning how you are connected to life becomes organized by your Higher Mind and your intuition becomes more trustworthy. Another simple technique is to feel the simple appreciation from being alive and living in an amazing body. Appreciation can be felt at the deepest and highest levels within our life-force. Feel your Light flowing through you to your deeper being, and your inner realms. Feel your life-force, your Light, your Joy, and your inner Being. This article presents a lot of new and profound information. I hope the opportunities of this week excite you as much as they do me. What is important is that you are able to explore and integrate the following elements and understandings. You have a new sensitivity to the energetic rhythms of Earth. This sensitivity allows for the discovery of a deeper connection to your own life-force. Your Light-body consists of the highest frequencies of your life-force. You have the ability to connect your Light-body with the planetary grid of Light, the Lunar Matrix. You have an opportunity to experience a new level of emotional intelligence and intuition through new connection to your Higher Mind. Share your discoveries and experiences since the May Supermoon to help anchor and integrate your new perceptions and abilities.